For the third year in a row Apple is at the top of Greenpeace's environmental rankings for tech companies in 2017. Apple led platform operators with a score of 83 percent on Greenpeace’s Clean Energy Index. Facebook came in second with a score of and Google 67 percent and Google came in third with 56 percent. Apple's final grade was an A for energy transparency, renewable energy commitment, energy efficiency and mitigation, and renewable procurement. The company received a B for advocacy. Google got all A's except for a B in the transparency category, however as noted above they did not fare well in the clean energy component. 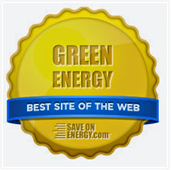 These rankings assess the energy footprints of large data center operators. 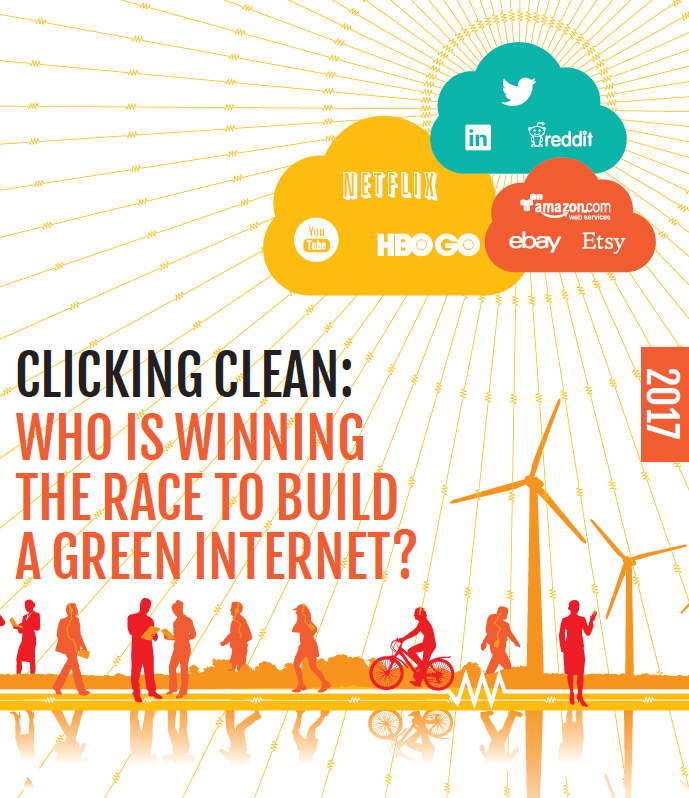 They appeared in a Greenpeace USA report titled, "Clicking Clean: Who is Winning the Race to Build a Green Internet?" 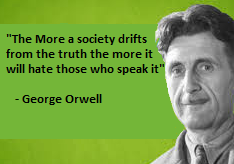 This is the eighth annual ranking of tech companies conducted by Greenpeace that is released early in the new year. This report was released on January 10, 2017. Apple has evolved into one of the most environmentally progressive companies in the world. They have some very ambitious plans for the near future. They will soon move into their Apple Campus 2. When it opens it will be powered by almost three quarters of a million square feed of solar panels. As stated in the report, Apple has "played a catalytic role within its IT supply chain, pushing other IT data center and cloud operators who help deliver pieces of Apple’s corner of the internet to follow their lead in powering their operations with renewable energy." There was a new winner this year in the colocation and content delivery network company category. Las Vegas based Switch develops data centers and is involved with the telecommunication, cloud, and colocation services. They appear on the list for the first time due to the fact that they are already entirely powered by renewable energy. Switch was given all A’s and 100 percent on the clean energy index. 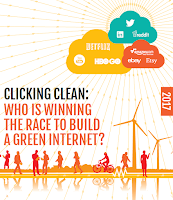 As part of the RE100 pledge Apple, Facebook and Google are all converting to clean energy. All three tech giants have all pledged to power their operations with 100 percent renewables. Growth at both Apple and Google is powered by clean energy. 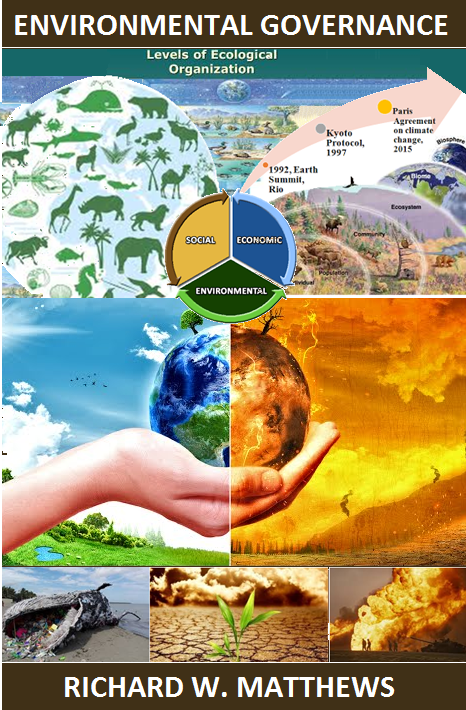 According to the report information technology companies are increasingly relying on renewables. The IT industry is an energy hog so the more it relies on renewable energy the less it will have to draw from a (fossil fuel) powered grid. This trend towards clean energy is all the more important in light of the fact that streaming is projected to significantly increase power consumption in the sector. The IT industry currently consumes more than 7 percent of global electricity and it is expected to grow exponentially in the future.